A point of sale has inadvertently leaked details of the new GoPro Hero 7 action camera that is expected to be officially launched later this month. 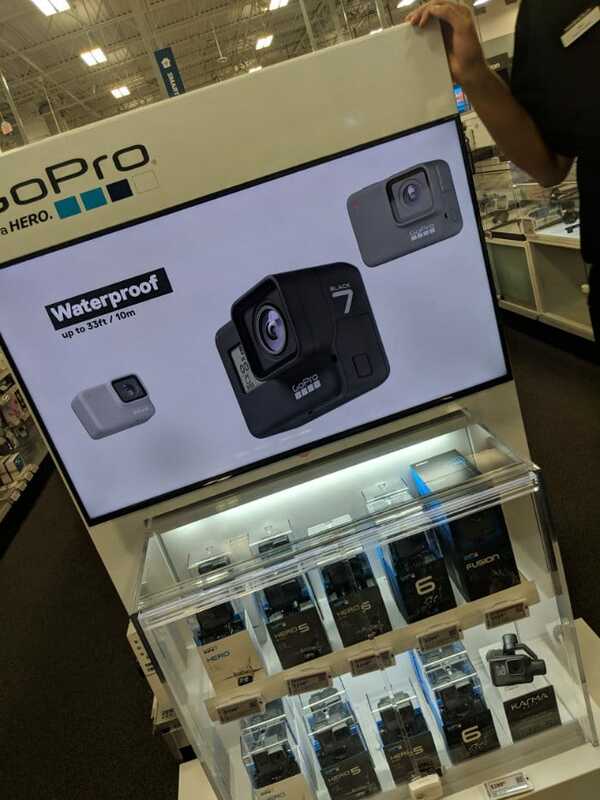 As you can see from the images of the store display the new GoPro Hero 7 will be available in three colours silver, white and black and is waterproof to a depth of 33 feet or 10m and is equipped with similar features of previous released action cameras in the range including image stabilisation. Although one model is equipped with a front facing display. 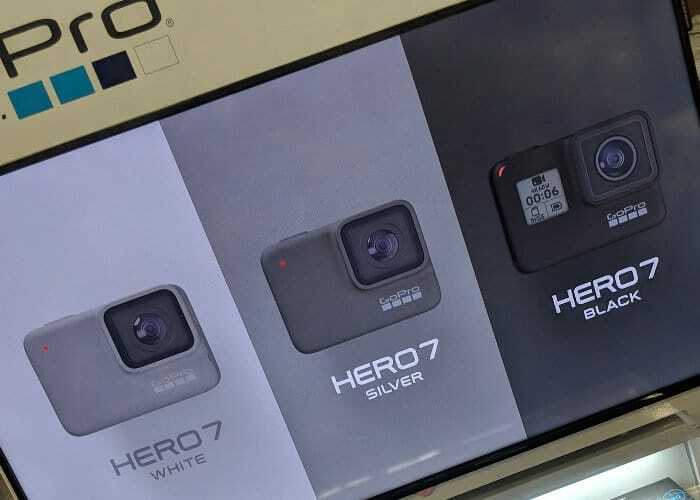 Unfortunately, new specifications for the GoPro Hero 7 action are still under wraps and no information on pricing or worldwide availability has been released as yet by GoPro, but as soon as information comes to light, we will keep you updated as always. Earlier this year in January 2018 the GoPro Karma was GoPro’s consumer drone was discontinued, after a rocky launch and delays before the GoPro Karma was officially launched and then recalled due to technical issues and relaunched once again in February 2017. For more details on the full GoPro range jump over to the official website.